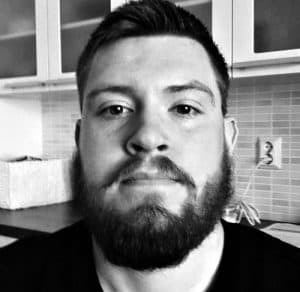 Hello, I’m Ali Kuoppala, the founder of Beard Resource. I’m a men’s health author and beard care enthusiast. BeardResource.Com is the place where I share all of my knowledge about beard care, growth, and products. Beard growth articles, that can help you get a thicker beard, faster. Beard care articles, explaining various things from beardruff to curly beard. Reviews of the best beard care products and grooming items on the planet. Articles about general beard knowledge, facts, myths, and all between. Two and a half years ago, I started the process of growing my very first full beard. After Googling for information about how to make my beard thicker, how to speed up its growth rate, and what are the best products to care for the mane, etc, I found that the results and sites I found didn’t quite live up to my expectations. And since I have been writing about men’s hormones before, I knew how vitally important androgenic hormones were for facial hair. No other beard blog seemed to connect those dots, and they blatantly – with dollar signs on their eyes – recommended products that could suppress the hormones that make the beard grow in the first place. That’s what eventually sparked the creation of BeardResource.com, it’s my response to poor facial hair care information that some blogs and companies spew out, in hopes of just selling products as quickly as possible. Oh and by the way, I don’t just talk about how to optimize beard growth and care for it, I’ve learned how to do it myself before. Teaching men how to naturally increase beard thickness and growth rate. Reviewing the products that actually help you take care of your beard. Seeking methods to increase androgenic beard growing hormones naturally. Creating a hub of information that educates men about the magnificence of beards. If you need to get in contact with me, you can find all the information for that through our contact page.